The good old disclaimer, always used to screw the buyer in the end. Oldtownch of course has one, written in badly broken English (not a good idea if you end-up in a US court). 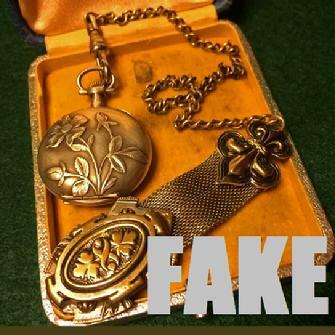 As you can see, though they have lead you to believe these items are WW2 relics in "good condition for age" they are also telling you they know nothing about watches or any such relics (despite selling over 2,400 such items). I love the phrase "Basically, all the watches that we sell, we sell as Parts or Restoration. We do not repair and do not restore the watch, and do not clean, as is! Please pay attention to this". And of course that's followed up with "It's not possible to be an expert in all areas, and we can not know the history". Though they've already said it was from WW2 and in great shape for its age. These are scam artist, nothing more; just a couple of low-life thugs trying to seperate you from the money you earned honestly. eBay should be ashamed to allow them on their platform. GERMAN WW2 Big Military Gunmetal "Junghans" German ALARM Pocket Watch 60mm. Runs. "Junghans" Gunmetal Stopwatch, old silver color chain, stopwatch not runs need attention. Good condition for age, see all picture please. Nice heavy German Pocket watch and stopwatch. As is, as found. This Alarm Pocket watch is a beautiful display for the collection. Start with a low price, there is no reserved. Watches runs. Movement clean. Inside the back cover, preserved paper instruction in German, alarm sometimes work, sometimes not, need attention, by any way we sell it as parts or restore. Basically, all the watches that we sell, we sell as Parts or Restoration. We do not repair and do not restore the watch, and do not clean, as is! Unfortunately we only sell items at auction. Sorry about this. It is not possible to be an expert in all areas. Items are bought at different auctions, wholesale, and we can not know the history, etc. We set a very low price started. Items are exhibited for judging and evaluation of the buyer. We believe if the buyer puts a bid, he knows what he does. Thank you for understanding.. Editors Note: So on one hand, it's a beautiful piece for it's age (WW2) and an excellent addition to your collection; and on the other, it's a piece of broken junk and they know nothing at all about it (despite selling over 2000 of them). Bottom line is, if your dumb enough to send them your money, you're too dumb to have your money anyway.